TAIPEI, Taiwan — A Taiwanese naval ship accidentally fired a supersonic missile in the direction of its rival China on Friday, killing the captain of a nearby fishing boat, a state-run news agency said. The 500-ton Chinchiang-class corvette launched the missile during a training exercise while docked at a harbor in the southern port city of Kaohsiung. 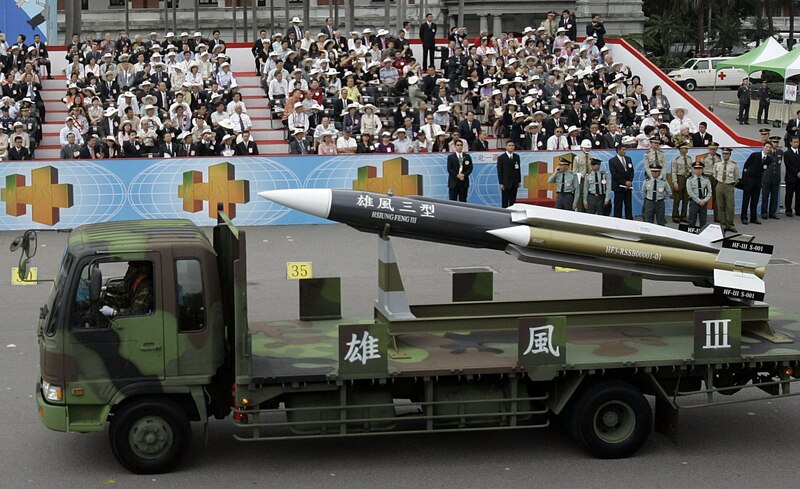 The Hsiung Feng III anti-ship missile landed in waters around 46 miles to the northwest, Taiwan’s Central News Agency reported. It hit a Taiwanese fishing boat, killing the captain and injuring three others, it cited the country’s defense ministry as saying. China — which has been locked in a decades-long standoff with Taiwan — is around 160 miles away from the harbor. The missile had a range of 200 miles but did not cross the Taiwan Strait’s median line, which separates the two countries. The country’s navy said the mishap was likely caused by human error and that those responsible would be punished, according to the Central News Agency. 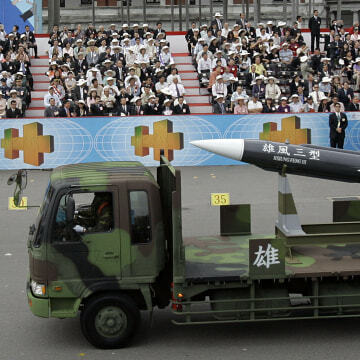 Navy Chief of Staff Vice Admiral Mei Chia-shu told reporters that China had not been notified of the launch because Taipei is not in contact with Beijing. The firing coincided with Beijing’s ruling Communist Party celebrating its 95th anniversary. Chinese President Xi Jinping delivered a speech Friday calling for peaceful development of relations between Beijing and Taipei, according to The Associated Press. The two countries have been rivals since the Chinese civil war ended in 1950. Supporters of the then ruling Chinese government fled to Taiwan after its forces were defeated by the Communists.